Providing additional heat in a residential or commercial space is the most important comfort factor in the onset of cold weather. To understand that a convector or infrared heater is better, we decided to analyze the main features of devices of these types. 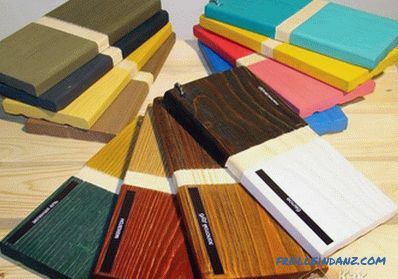 For the analysis were taken such criteria as the principle of operation, the level of environmental friendliness and safety, price factor, size, comfort of use, room warming up speed, mobility and others. 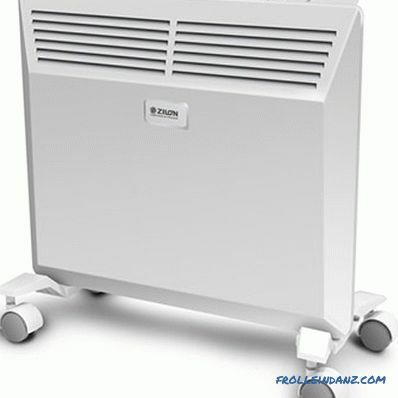 Convector-type heaters are represented by electric and gas models. In a residential environment, electrical models are used. They are used in apartments, houses, in the country, in office space - in all buildings where you can connect electrical power. The principle of operation of the convector . 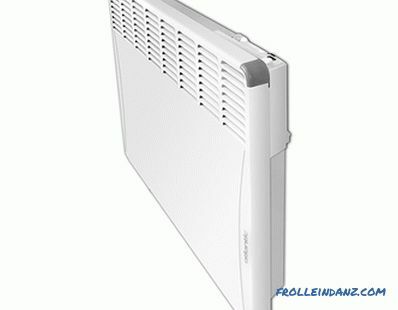 The convector heats the cold air and evenly distributes the heated in a heated room. 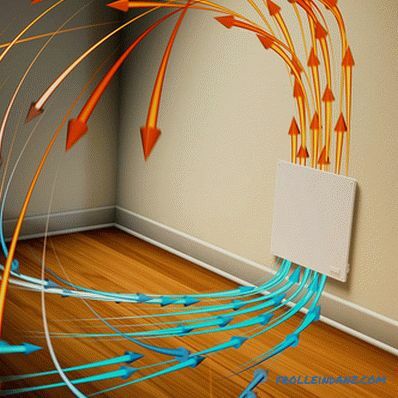 Convectors do not radiate heat, as many heating appliances, but fill the room with them. 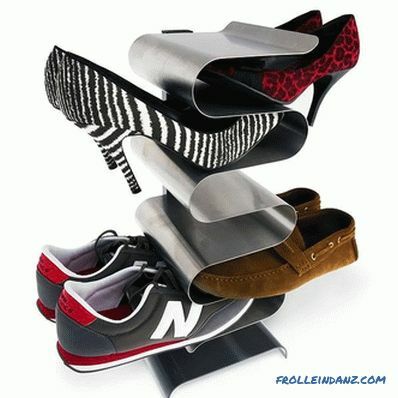 The device is placed at a height of no more than 15 cm from the floor level. Further, there are simple laws of physics: cold air is at the bottom, since it is heavier than warm - it enters the heater through a special grille and passes through a radiator. Passing through the radiator, it heats up and enters the room. Warm air rises. As it cools, it goes down, and the procedure is repeated, ensuring that the air in the room is constantly heated. Design features . The heater consists of two main parts: the housing (convection chamber) and the built-in heating element. Tan is not in contact with the metal case, so grounding is not required. Between the heating element and the housing there is a protective layer of special heat-resistant plastic. The process of air exchange is carried out in a natural way, without additional details inside the structure. Due to the absence of a fan, noiseless operation of the convector is achieved. Modern convectors are equipped with a thermostat that maintains a stable indoor air temperature with a high level of accuracy. The user sets the desired temperature, and the thermostat turns the device on and off as needed. Control modules allow you to combine several convectors into a group and fully control the microclimate in the house. Convectors are equipped with various additional options that help ensure maximum comfort in the room. The device can be equipped with a timer, electricity connection indicators, a device for remote control, an air humidifier. 2. Lattice with guides for the exit of warm air. 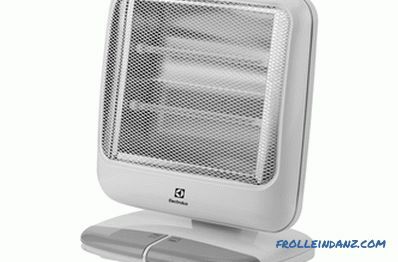 Infrared Heater is a modern heater used for heating various premises. The principle of operation of an infrared heater . The principle of operation of this device can be compared with the sun's rays. The infrared heater functions by heating objects in the room with infrared radiation — in turn, they give off heat to the air. This allows you to heat small areas or create local heating. To obtain the desired effect, it is not necessary to wait until all the air in the room or office is heated. Design features . 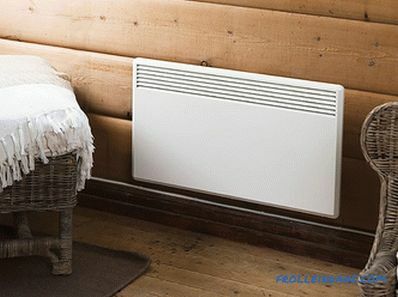 The main structural element is the radiator, which emits infrared radiation and provides heating. Depending on the type of device, a halogen, carbon, ceramic or tubular heating element is used. Reflector - a design detail that provides directional heating and protection against overheating of the case. 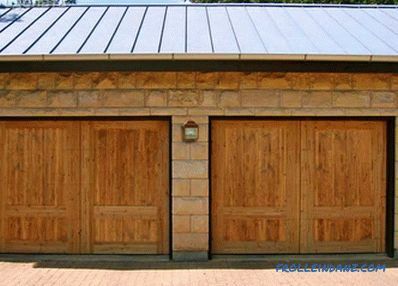 It is made of modern materials with a high level of thermal resistance in a parabolic or linear form. Protective detail in the form of a grid or partition to protect from direct contact with the hot surface of the radiator, a necessary element for a device used in a residential apartment or house. Convectors work by filling the room with warm air in a natural convective way. These devices do not use fans or other additional elements that speed up the heating process. Therefore, the heating rate, relatively infrared devices is low. The principle of operation of an infrared heater provides fast and directional heating, under the influence of infrared radiation. But above all, objects, walls and people are heated, and already from them the air in the room heats up. It was experimentally confirmed that the heating is felt already after 27 seconds. The directional effect of the infrared heater allows you to achieve a comfortable temperature in the area of ​​the room where people are located. In this case, the accumulation of warm air near the ceiling will be minimized. Difference in heat distribution when using a convector and ceiling infrared heater. Most likely, a person will feel the heat from an infrared heater, but if we talk about uniform heating of the air throughout the room, then the convector can do it faster. The directional effect of the infrared heater allows you to use these devices in those places where there are drafts - on terraces, gazebos and industrial premises. The convector is able to provide uniform heating of the air in a closed room. Electric convectors are represented by two versions of models, based on the installation features. Wall models are attached to the wall at a height of 10 - 15 cm from the floor. Installation does not take much time. After fixing the device on the wall, it does not interfere with movement in the room and does not catch the eye. Floor models are compact, equipped with castors or legs-supports. Due to its low weight and parameters, the device is easy to transfer from one room to another. The presence of additional features increases the convenience of operation. 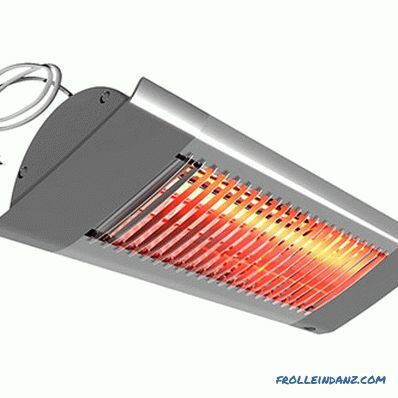 Infrared heaters are divided into mobile and stationary. Mobile models of infrared heaters can be easily moved within the room or moved to another room. However, the case of an infrared heater is often very hot, so you must be careful when changing the orientation of the device or moving it to another room. Although the protective net protects from direct contact with the radiator, it has a rather high temperature. As for stationary infrared heaters, they practically do not differ in this respect from convector ones. They are installed on the walls or ceiling and do not cause any inconvenience to the occupants of the room. Convectors will be more comfortable to use. They do not require such control as infrared devices. The convector can be easily left unattended, while a powerful infrared heater can emit a large amount of heat, which can lead to negative consequences for both people and closely placed surrounding objects. Both devices are noiseless. 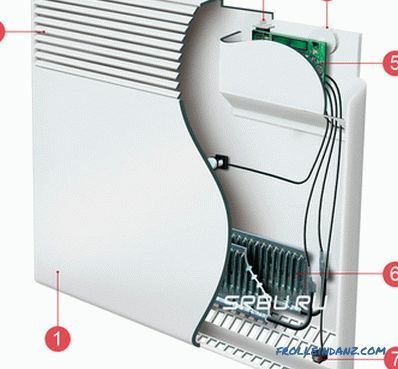 However, users note that some models of infrared heaters during the heating and cooling emit a crackling sound caused by thermal expansion of parts. Electric convectors comply with all fire safety requirements and are equipped with overheating protection. Thanks to the special protection of the heater, the heating part does not touch the metal casing, therefore there is no need for grounding. The surface of the convector does not overheat. Wall options are securely fastened to the wall, and floor models are stable. The heating element of the infrared heater has a high temperature, so its surface is covered with a partition or grid - this protects against burns if accidentally touched. Models are equipped with functions of protection against overheating and falling. Radiation is safe for humans, but for a long time it is not worth to abuse and is under its influence. In terms of safety, the convector will be much more reliable. It does not have very hot elements and does not produce radiation. Infrared heaters, when used properly, meet fire safety standards, but they are more fire-hazardous devices. In addition, it should be mentioned that for a long time to be under too intense infrared radiation is not very good for health. This can be compared with a long stay in the scorching sun. Of course there won't be a fatal outcome, but a headache can be guaranteed. The specificity of the convector says that when moving air in the room, dust will rise. Convection when the infrared device is present, but it is weak. You can often hear the opinion that a particular type of household heater burns oxygen. 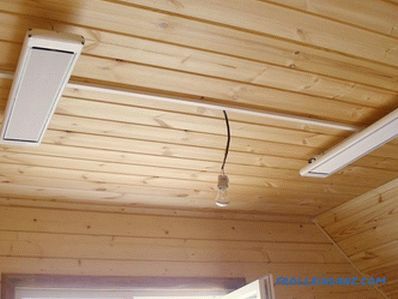 In fact, no heater operating from the electrical network does not burn oxygen because there is no open burning.That is why this feature can not be used as an advantage of some and a disadvantage of other types of heaters. Both devices, in the course of their work, do not emit harmful substances, however, the dust raised during the operation of the convector can be very harmful for allergies. Intensively working convectors can reduce the level of humidity in the room more than infrared models. Infrared heater does not have a strong convective movement of air masses. But here it is necessary to ensure that the radiator does not get dust and other small objects, which, after turning on the heater, can burn out creating an unpleasant odor. 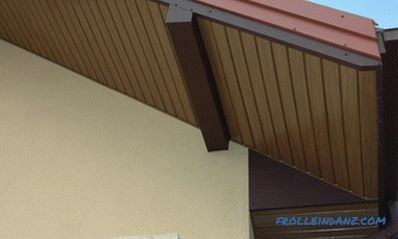 Convectors are thin, but rather large in height and width of the device. Due to the small thickness of the wall model, after installation, almost no eye. The dimensions of the infrared devices depend on the type and technical features of the device. The most compact models are portable type for point heating. Ceiling models have a considerable length (about 1 - 2 m.). But they are located in those places where in no way affect the floor space. 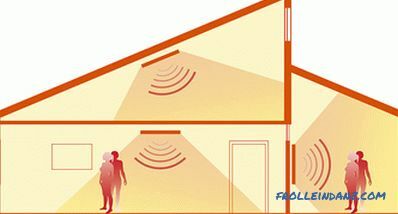 If you make a comparison of mobile devices that can be transferred from one room to another, among them you can find infrared heaters of a very small size, about 25 - 30 cm in width and height. The principle of operation of the convector does not allow to make these devices as small. As a rule, convectors have a width of at least 44 cm, and a height of at least 41 cm. Prices are represented by a wide range of options. 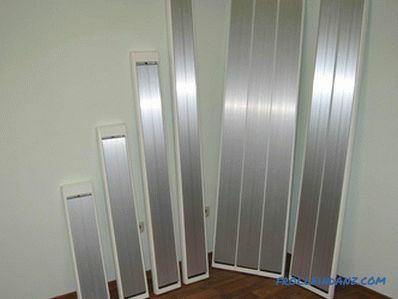 Average prices for household infrared heaters: 2400 - 4000 rubles. Average prices of electric convectors: 1800 - 3500 rubles. Models with a mechanical thermostat are 20–30% cheaper than designs with an electronic or programmable instrument. The principle of operation of convectors allows you to ensure a long period of successful operation. Most manufacturers guarantee 5 years of work. Practical user experience suggests an average life of 10-15 years. Depending on the type of heater, the accuracy and characteristics of the operating conditions, the service life of an infrared heater can be from 15 to 25 years. Ceramic models have the longest service life. The level of energy consumed depends on the technical features of the device. According to research, the use of infrared models is more economical. 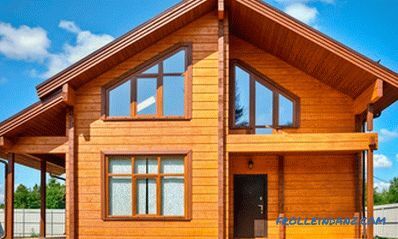 Energy costs depend on the temperature outside, the desired temperature in the room, the level and quality of the insulation of the room, the area of ​​the windows and the quality of the glass. If we compare devices of the same power, they consume approximately the same amount of energy. The economy of using an infrared heater is achieved by the fact that in order to create a comfortable temperature in the room, it needs to work less time than a similar convector. Therefore, the infrared heater can be turned on for 20 - 30 minutes per hour, while the convector should work without interruption. It is difficult to say which heater is better than an infrared or convector, it all depends on your needs and operating conditions. We can give some recommendations on this. 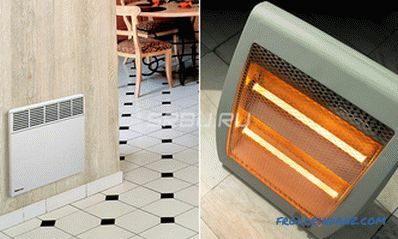 It is required to provide only point, uneven heating in a certain area of ​​the room. It requires heating in a room with drafts or on terraces, a gazebo, awnings. You need a mobile device that you can carry with you, for example, to work. It is necessary to ensure constant heating of the room that does not have drafts. It is necessary to warm the room where small children can be.